Pete Watson, from Nottingham Socialist Party branch, takes up below some of the issues raised in the editorials of issues 984 and 985 of the Socialist, which commented on Jeremy Corbyn's February speech on Brexit. Pete's points are followed by a reply from Socialist Party executive committee member Judy Beishon. As I understand it, our position is that we would support Britain being in the Customs Union (CU) as long as it had the powers to implement a socialist programme. This is an important issue, as being in the CU may be a reality soon. But does this demand raise the sights of workers towards a socialist future, which should be its intention? The vote in favour of Brexit has changed the political landscape in Britain. Most people did not see Corbyn's detailed speech on his attitude to the Customs Union; Labour's right wing got the lion's share of publicity following it. Corbyn's conditions won't generally be known, and therefore most would think that Labour is in favour of being in the CU with few conditions. Many will view this as a retreat by Corbyn. Labour's final position may be one of being in the Customs Union with few conditions anyway. Those workers who voted for Brexit therefore will see it as a betrayal by Labour. There is a danger then that we would be associated with that too by taking what is seen as a favourable view of the CU. Our policies also have to cater for workers in manufacturing who are fearful for their jobs after Brexit and want easy movement of half-finished and finished products from the UK to continental Europe. We can answer their fears by supporting trading agreements with the EU and with individual countries to keep trade rolling until Europe and other countries go socialist. These would be bilateral trading agreements, not membership of the CU. On a capitalist basis neither free trade nor tariff barriers provide any solution for working people. But a socialist Britain would need to control its trade. The problem with supporting being in 'the' or 'a' customs union with the EU (and Turkey) is that it would mean there would be no tariff barriers around a socialist Britain. This is the current meaning of a customs union. 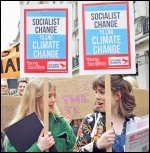 The point was raised at the Socialist Party conference in March that revolutionary Russia signed a trading agreement with Britain in the 1920s. This was in support of the view that a customs union could be agreed by a socialist government. In 1924 the British government opened negotiations with Russia by insisting on abolition of the Soviet government's monopoly of foreign trade, among other demands. This was rejected by Soviet negotiator Rakovsky, who said "our answer to such an attempt is a categorical 'never'". A socialist Britain in capitalist encirclement would need trading relations, but could not concede monopoly of foreign trade and control of industry, as it could lead to capitalist restoration. A deal was signed in 1924 with Britain without breaking the Soviet government's monopoly of foreign trade. The CU is used to oppress the ex-colonial world such as Africa and the Caribbean. The collective strength of EU imperialism forces unfavourable trade deals on many countries by lowering governmental control over tariffs and other protections for the home economies. This would make it more difficult for a socialist Britain to appeal to the peoples of Africa and elsewhere. There is also the prospect of a new TTIP. This trading agreement was to be signed between the US and the EU and would have penalised governments who take measures against capitalist monopolies. This could come as a consequence of continued membership of a customs union. Being in or out of the CU does not affect our calls for international solidarity with workers across Europe and elsewhere. Being out of the CU could however be the platform for a greater and more principled appeal to workers. A better demand therefore would be for a socialist Labour government to negotiate trading agreements with the EU and elsewhere without any restriction on its ability to nationalise and enhance workers' conditions etc. But not as part of the Customs Union. Pete Watson's letter is welcome, as debates and queries on our editorials can help with the clarification and development of political ideas for all readers of our paper. In this case it's necessary to try to remove any misunderstandings on the position we put forward, in order to then be able to explore whether there is a difference of opinion or not. Pete suggests that we supported "Britain being in the Customs Union as long as it had the powers to implement a socialist programme" and later says that by taking what could be seen as "a favourable view of the CU" we could be associated with a Labour retreat. In the EU referendum we disagreed with Jeremy Corbyn's Remain position and called for an anti-austerity, anti-racist, pro-working class Brexit. We have a socialist and internationalist standpoint, for a voluntary, socialist confederation of European states. While maintaining this position since the Leave vote, we also have to confront issues as they are posed, including what the position should be of a Corbyn-led government on trade relations with the EU. And we include in our programme the best way of defending and advancing workers' jobs, pay and overall living standards during the Brexit process as it unfolds. Nowhere, however, in our editorials did we support staying in the present EU Customs Union. Instead, we welcomed Jeremy Corbyn's altered position which, while maintaining his post-referendum support for leaving both the Single Market and Customs Union, was seeking, in his words: "to negotiate a new comprehensive UK-EU customs union to ensure that there are no tariffs with Europe and to help avoid any need for a hard border in Northern Ireland." He also sought to negotiate "protections, clarifications or exemptions where necessary in relation to privatisation and public service competition directives, state aid and procurement rules and the posted workers' directive." We commented in our issue 984 editorial that Corbyn's call for a new deal "could be used to challenge the EU leaders in Brussels on their anti-working class policies and expose their motives if they reject it." But we also recognised that a layer of workers feared that Corbyn might be retreating from Brexit. We ourselves warned that the eventual outcome might not be one that socialists could support: "Whether Corbyn's new position turns out to be unfavourable to the working class will depend on his subsequent positions and actions - in particular how firmly he and those around him take a stand in workers' interests and mobilise mass support behind that, and counter the pro-capitalist positions of the Blairites." So we acknowledged that Brexit voters could end up with a "betrayal by Labour", as Pete puts it. We agree that many people wouldn't have seen the detail of Corbyn's speech. The capitalist media distorts, hides or denigrates Corbyn's positions, which makes it all the more important that we use the influence in the workers' movement of our own publications to get across a Marxist appraisal of those positions. Pete recognises that our policies must address workers "who are fearful for their jobs after Brexit and want easy movement of half-finished and finished products" and he concludes we should support "trading agreements with the EU and with individual countries to keep trade rolling... These would be bilateral trading agreements, not membership of the CU." However, a bilateral trading agreement with the EU would most likely take the form of a type of customs union, because, for instance, tariff-free or low-tariff trade would mean the EU and UK together having some degree of customs separation from the rest of the world. Without that, customs controls between the UK and the EU (including in Ireland) would be brought in to establish the 'country of origin' of products, an outcome Corbyn was trying to avoid. It's true though that neither protectionism nor 'freer' trade will defend the interests of the working class and poor, nor are either a solution to the economic problems of the capitalist ruling classes. Many trade and customs variants are possible, but the central issue for socialists is: how will they impact on workers' interests? Pete ends his letter by saying that "a better demand" would be for "a socialist Labour government to negotiate trading agreements with the EU and elsewhere without any restriction on its ability to nationalise and enhance workers conditions etc. But not as part of the Customs Union". We, in fact, do strongly argue that a Corbyn-led Labour government needs to adopt socialist measures and act in workers' interests regarding trade, nationalisations, and so forth. Corbyn has leant slightly more in this direction but unfortunately is still trying to compromise with the Labour right and work within the confines of capitalism. So we do, as Pete stresses we should, "raise the sights of workers towards a socialist future". We have always pointed out that no form of capitalist relations - trading or otherwise - will solve the problems faced by the overwhelming majority in society. Only a socialist alternative can do this. Our editorial (issue 984) called for Labour's manifesto to include "public ownership of the banks and largest companies, under democratic workers' control and management" and for the need to "link up with the workers' movement across Europe for a common anti-capitalist strategy and socialist road." Pete argues that "a socialist Britain would need to control its trade" and that a customs union "would mean that there would be no tariff barriers around a socialist Britain". He goes on to mention the 1924 trade treaty signed by the Soviet Union and writes: "A socialist Britain in capitalist encirclement would need trading relations, but could not concede monopoly of foreign trade and control of industry". This conflates two issues. Yes, a socialist Britain would need to adopt a democratically run state monopoly of foreign trade. This would be essential to control imports and exports and movements of capital, as part of establishing a socialist planned economy. However the trade agreements entered into with capitalist powers: tariffs, quotas, standards, and so forth, would depend on the outcome of hard-fought negotiations in which some concessions would be inevitable, as indeed there were in the 1924 Soviet deal with Britain. 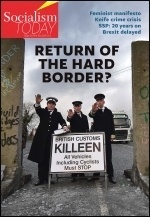 Incidentally, a customs union with the EU would not necessarily mean "no tariff barriers around a socialist Britain", because - leaving aside the many such barriers the EU has with the rest of the world - the type of customs union would be a subject of negotiation, with many possible variants, including selective arrangements. Pete argues that being out of "the CU" could be "the platform for a greater and more principled appeal to workers". It's certainly the case that the EU's trade policy internationally is decided by the interests of Europe's top multinationals which have ensured aggressive profit-seeking deals at the expense of the livelihoods of millions of people in the developing economies. Negotiations like TTIP and Ceta have shown in which class's interests EU trade policy lies and we oppose such deals - as should a future Corbyn-led government. Many workers outside the EU no doubt view the possibility of Britain leaving the EU Customs Union as an opportunity for Britain's terms of trade to be made 'fairer' to the industries they work in, while Britain's capitalists have no such aims. On the other hand, in EU sectors of industry with significant exports to Britain - the EU had a £95 billion goods surplus with Britain in 2017 - many workers fear Britain leaving the Customs Union, because of the prospect of their bosses' UK market being undercut by cheaper non-EU products. Ultimately, only public ownership and socialist planning on an international scale can end the capitalist classes' chasing of markets and production around the globe and guarantee decent jobs, homes and services for all. Any trade agreement between a socialist government and capitalist interests would have to be a stopgap while movements for socialist change are built and spread in all countries. Meanwhile, socialists, while calling for the best possible trading deals in the interests of workers at home and abroad, must demand that no worker in Britain, the EU or anywhere else should be made to pay the price of the chaos of the global capitalist markets and any hits on their bosses' profits. 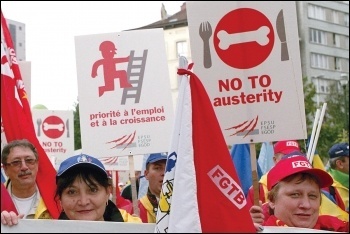 We lay the blame firmly at the door of the capitalist governments and their rotten, decaying system and call for international workers' solidarity in the task of removing it.